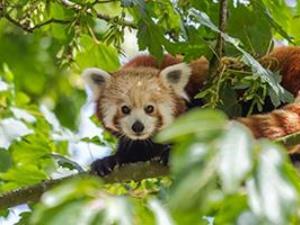 Manor Wildlife Park ZooWales’s only walking safari, Manor Wildlife Park plays host to exotic and endangered animals from across the globe! The park’s innovative walkthrough exhibits allow visitors to come face to face with many of it’s animals. You can feed a wallaby, share a bench with a lemur, come face to face with red pandas and meet gibbons, giant rabbits, Cameroon sheep and pygmy goats. It’s not just the animals that make the park an unforgettable day out, with a giant bouncy castle, indoor play and café serving handmade pizzas, Manor Wildlife Park certainly has something for everyone!